Economists now over the age of fifty were brought up on the view that current-account transactions dominated the balance of payments. Capital-account balance was regarded as either subsidiary to, or invoked to change in, adjustment of the prime-moving balance of trade. That view has had to be modified. The national capital markets with which the pre-1939 world was dotted have been progressively (especially since the late 1950s) replaced by an international capital market, in which, by electronic and telecommunications media, transactions are concluded instantaneously across frontiers, oceans and continents; in which funds move ceaselessly in volumes never before dreamed of; and in which scrutiny of investment options and prospects are as swift and ubiquitous as the transactions. 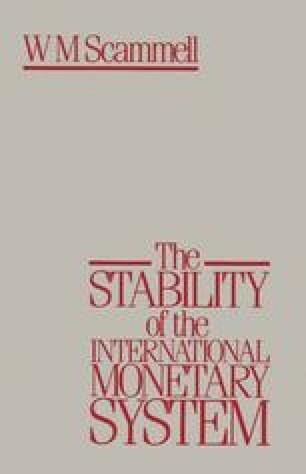 For some economies, capital movements dominate the balance of payments and may in themselves initiate the mechanics of the whole account.